In the last post, Part I, I talked about Keziah (Cooley) Goss’s life and her remarriage to Timothy Brown. Let’s take a look at her daughter Keziah Goss Haskell Rose and see what we can learn about her life. The goal is to clarify that they were two different people. “The records of Hardwick, Brookfield, and Granville, Massachusetts show clearly that daughter Keziah Goss had (2) husbands marrying first 20 August 1745 at Hardwick when she was 15.5 years old to Zachariah HASKELL (born 11 April 1718, died 24 October 1759), son of John and Mehetabel (CLARK) HASKELL. That she married a second time on 23 June 1761 to John ROSE of Granville, Massachusetts (born 18 February 1719/20, died 1788) a son of Jonathan and Abigail (HALE) ROSE. John ROSE had married 1st on 9 May 1745 to Ruth HOLCOMB (born 9 March 1724 and died 2 April 1759) daughter of Nathaniel and Thankful (HAYES) HOLCOMB (Granville Vital Records). Mostly importantly, her brother Philip Goss IV was getting ready to leave for the west. He was selling off land in Brookfield all through 1742 to 1749. I refer you two my previous posts about Philip Goss IV and his life in Brookfield 1740 to 1745 and a second post about his life in Brookfield and Lancaster 1745 to 1749. The question is, who gave the permission for Keziah to marry? It might have been her brother Philip and/or her grandfather Capt. Philip Goss. It is uncertain if Timothy Brown had any authority after his remarriage to Hannah Wright in February of 1745. I did not see a guardianship in the probate records of Worcester Co. about this issue. Perhap further study of Worcester Co. court records might be in order. Probate of Zachariah Haskell, probably the Accounting for the estate. Shows Keziah as Keziah Rose and mention marriage to John Rose. On my trip to Massachusetts in 2011 I visited Hardwick, MA. I drove up from West Brookfield through Gilbertville to Hardwick and toured the area. Here is a portion of my post, written on my Massachusetts Meanderings blog which I will be retiring from the web soon and making a page on this blog for reference to it. Tuesday, April 12, 2011: Hardwick, East Brookfield, Sterling & Lancaster! Today I wanted to drive north to Hardwick about 20 minutes away. This is where Keziah (Goss) and Zachariah Haskell married 20 July 1745. This Keziah was a daughter of Philip Goss and Keziah Cooley. Hardwick records are in the Town Hall of Gilbertville….It was lovely country. I made the sharp right turn to Gilbertville and found Hwy 32 and headed north. I stopped at the Hardwick Grocery & Package Store and asked to use the facilities and they refused. I then asked if they had ice and they said yes and then they let me use the facilities which were behind the purchase counter. I proceeded up the road on Hwy 32 and spotted the sign the Village of Hardwick. Much to my amazement I found the loveliest town with a large village green and a cemetery next to the old town hall building! I need to learn more about this cemetery. It didn’t have a sign. I suppose it is the Hardwick Cemetery or something like that. Find A Grave has a Hardwick Central Cemetery but it doesn’t look like this little one next to the old courthouse. It appears to be up the road further north? Me at the cemetery in Hardwick. It was hard to read the stones. Much to my good fortune a nice man was walking along and he made a comment about taking my photo in from of the church and I responded how about in front of the cemetery? His name was Dennis and he was from Florida he was visiting his family. What a happy spur of the moment! I wandered around taking photos and discovered that they have the Hardwick Historical Society right there in the center of the town. I do remember that they didn’t have a website and I was running out of time in preparation for this trip. So I will probably have to write or call them. This means I cannot do a link to them. I guarantee there is a building there with a lot of old items inside – yes I peered through the windows. It would be very easy and free if they set up a blog for their society. If my calculations are correct he was about 1/3 of a mile from the road. Now what is the turnpike? Anyone there know what they might be talking about? I have found the two hills. I did drive down Barre Road for about a mile and it is lovely country and that road takes you between these two mountains. Barre might not be the correct road? Perhaps a deed or something or even an estate file might reveal something. It is worth checking. As you can see from my visit to Hardwick I had lots of questions about Keziah and her life with Zachariah Haskell back then. I have clarified some of them but still working on others. The History of Hardwick suggests that Hannah (Goss) Haskell is buried in the cemetery that I have featured. It is listed on Find A Grave as the Old Hardwick Cemetery. Hannah is not listed on the Find A Grave for this cemetery. In summary, we see that there were two women named Keziah, the mother and the daughter. The mother Keziah (Cooley) Goss 1702 to 1745 is the one the remarried to Timothy Brown someone more her contemporary. Her daughter Keziah Goss 1730 to 1815 and who married first Zachariah Haskell and then after his death in 1759, she remarried to John Rose in 1761 and migrated from Hardwick to near Granville. The story of these two women is not yet complete. I will return to them to go in depth with Zachariah’s estate, their children, Keziah’s migration to Granville, marriage to John Rose and their children, her burial in the Norton Cemetery in East Otis in the Berkshires and other Haskell’s that migrated there. At this time, I need to move on and continue with the story of the son and brother of these two women, Philip Goss IV (b. 1724 d. 1778). (1) Keziah Cooley Goss, Quarterly Bulletin of the Cooley Association, Article by Paul H. Goss in several volumes of the bulletin. The Cooley Family Association of America, 39 Woodland Place, Fort Thomas, Kentucky. Housed at the DAR Library 2nd Floor, upper level to R. of Desk, top shelf Oversized Red Book. (DAR Library has Vol. 1-7, 8, 9, 10 and 12.) The articles below were short and spread throughout several volumes in a series. I am not sure if I have the citation totally correct but I have gone through it several times. Vol. III, No. 8, April 1942, page 2 to 3 – Start of the series: Keziah (Cooley) Goss, Contributed by Paul H. Goss. Discusses Benjamin Cooley and the descent to Keziah and her marriage to Philip Goss. Vol. III, No. 4, July 1942, page 3 to 4. Keziah’s marriage to Timothy Brown and the confusion with her daughter Keziah Goss. Vol. III, No. 1, October 1942, page 3 to 4 Deaths of Keziah and Philip and lack of a burial location, Paul’s speculation on the fate of Keziah (Cooley) Goss Brown, that she and Timothy went to Granville. Vol. IV, No. 2, January 1943, page 9 to 10 More on the migration to Granville, Simsbury and Becket. Vol. IV, No. 3 April 1943, page 15 to 23, Keziah (Cooley) Goss. The Children of Keziah Cooley Goss. There is also a description of the Goss-Seward Reunion in the Quarterly Bulletin. Vol. VIII, October 1946, No. 1, page 4. Paul went to Pennsylvania on this trip. Both Paul Goss and Flora Osborn, cousins and Goss researchers, were members of the Cooley Association of America which still exists and you can find some really good information at this link: http://www.cooleyfamilyassociation.com/index.html As a Cooley descendant I could join. (3) Keziah Goss’s marriage to Zachariah Haskell.Vital Records of Hardwick, Early Vital Records of Massachusetts from 1600 to 1850, page 186 Haskel. http://ma-vitalrecords.org/MA/Worcester/Hardwick/ Also includes the births of the children. (5) Judith’s guardianship: Judith Goss, Brookfield, Guardianship #24898 Series 8 Vol. 233, page 34 January/Feb 1745. Bond, Vol. 196 page 250, witnessed by her brother Philip Goss and others. Case no. 24866-24948 Gorham, John-Gould, Curtis, 1731-1881. Worcester Probate Records on line at FamilySearch under Worcester Probate Files. (6) Thomas Goss’s guardianship. Thomas Goss, Brookfield, Guardianship #24910 Worcester Co., Probate File, 4 February, 1745. Worcester County, Probate files, 1731-1881. Case no. 24866-24948 Gorham, John-Gould, Curtis, 1731-1881. Worcester Probate Records on line at FamilySearch. (8) Haskell Genealogy: The Descendants of Thomas White of Marblehead and Mark Haskell of Beverly, Mass. with a brief notice of the Coombs Family. Compiled by Perley Derby, Salem, Mass. page 36 Roger Haskell Descendants, Boston, Press of David Clapp & Son, 1872. Roger Haskell page 36-37, Children of Roger, to son Mark who had a John born 1681 and this might be the lineage to Thomas and Zachariah. This is online at Internet Archives. (9) Death of Zachariah Haskell. Worcester County, Massachusetts Probate records, Probate Docket #28007, Hardwick died Oct. 24, 1759. Court clerks summary of the probate process. Online at FamilySearch. (10) Estate of Zachariah Haskell #28007, 1759, Hardwick, Worcester Co., Massachusetts Probate files. Kezia (Goss) Haskell and later Rose as administrator of his estate.  This is the actual original probate file available at FamilySearch online. Rose, John and Kisiah Haskil, June 23, 1761. Intentions not recorded. This entry was posted in Brookfield, Cooley Family Association, Granville, Hannah Goss 1726 and Thomas Haskell, Hardwick, Haskell surname, John and Mehetabel (Clark) Haskell, Keziah Cooley Goss and Timothy Brown, Keziah Goss 1730 and Zachariah Haskell, Keziah Goss Haskell and John Rose, Old Hardwick Cemetery, Paul H. Goss 1890 to 1963, Philip Goss III b. circa 1700 and Keziah Cooley 1702, Philip Goss IV & Mary (Kendall) Goss, Rose surname, Thomas Goss 1734, TRIP - Massachusetts & Connecticut Genealogical Trip April 2011 (formerly Massachusetts Meanderings) and tagged Goss, Haskell, History of Hardwick, Keziah Goss Haskell Rose, Rose. Bookmark the permalink.